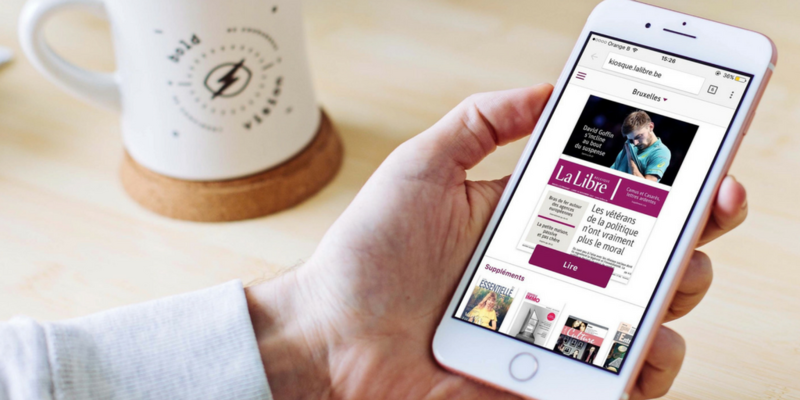 Joining other European publishers in leveraging the NextGen format to increase readers, IPM upgraded La Libre Belgique and La Dernière Heure’s mobile offering to include NextGen apps for a more interactive reader experience. With this addition, IPM now benefits from Twipe’s complete Digital Publishing Suite. La Dernière Heure and La Libre Belgique’s daily newspapers are available as NextGen and Replica apps on mobile, tablet, and desktop, in addition to the Replica and NextGen WebApps. The app for tablet also changed its format, going from a landscape layout to a new portrait layout. After one week, the adoption of this new app was already at more than 80% for both ePapers on iOS and Android. In just the first week after launch, an overall increase in use of the WebApp was already evident. IPM is one of the largest players in the press industry in the French-speaking market in Belgium. Its two main media are La Libre Belgique, one of the major daily newspapers in Belgium, and La Dernière Heure, which is focused more on sports.